(1) Pre-filter results based on Reading Level. 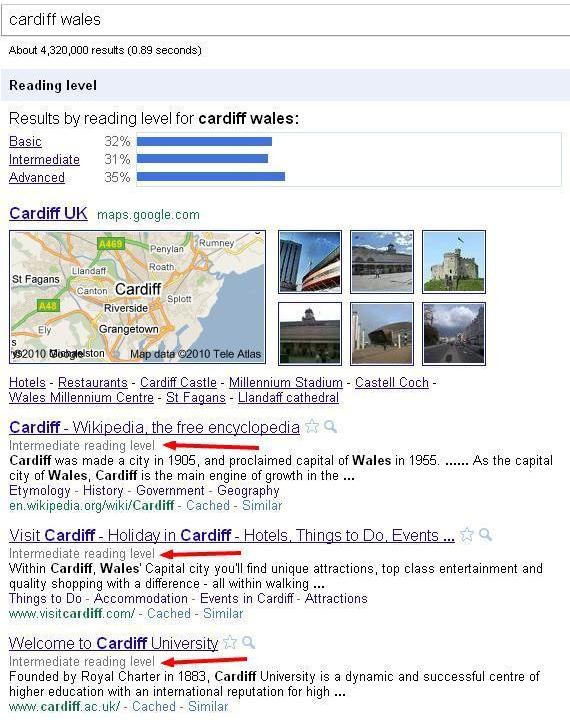 Let’s say I’m researching an upcoming trip to Wales; I’ve never been before and don’t know where to begin. I don’t want to waste time weeding through historical information, politics, and educational news. I just want to know where to eat, where to sleep, and where to visit. In this case, “basic” or “intermediate” results should meet my particular needs just fine. 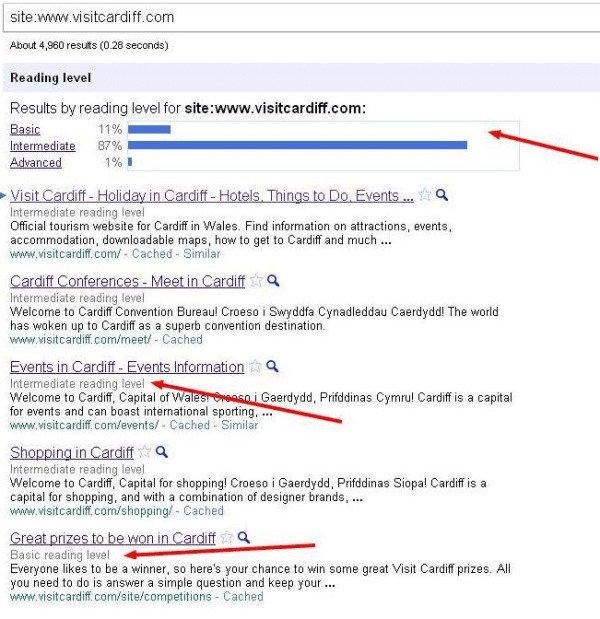 (2) Choose “Annotate Results with Reading Levels.” This allows me to view ALL results related to my search and decide for myself what pages I want to visit. With this option, I don’t have to worry about Google deciding what’s relevant to me; I just use the reading level suggestions to make a more educated decision. 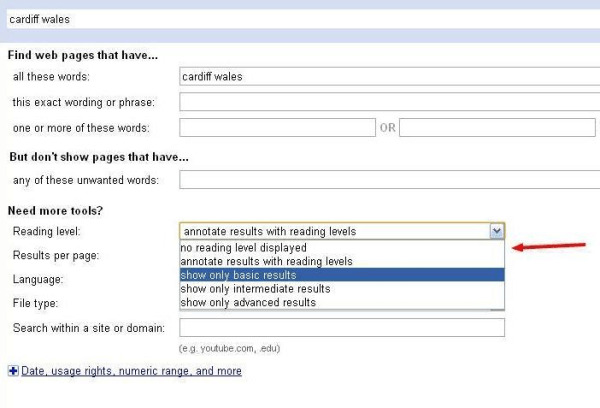 Google’s new advanced search filter may not make a huge difference in our daily search habits, but it seems to be handy little tool that we could benefit from when performing research-based inquiries. Worth a look!